Swarthmore College made its first-ever trip to the NCAA's Division III men's basketball tournament look like an annual stop. Just a year after making it to March Madness for the first time in its history, the Garnet are now just three wins from a national title after dispatching Plattsburgh State (N.Y.) 93-63 in front of a sellout crowd of well over 1,000 souls at Tarble Pavilion. Zack Yonda had 19 points, Nate Shafer had 18 and eight boards and Zac O'Dell had a double-double with 15 points and 10 rebounds for the Garnet (25-5), who jumped out to an early 22-5 lead thanks to a 15-0 run, led by 14 at the break and slammed the door shut with a 13-0 run that expanded the lead to 32 midway through the second half. Swarthmore was absolutely dominant inside, out-rebounding the Cardinals (24-5) 40-32 with a 54-20 advantage on points in the paint. 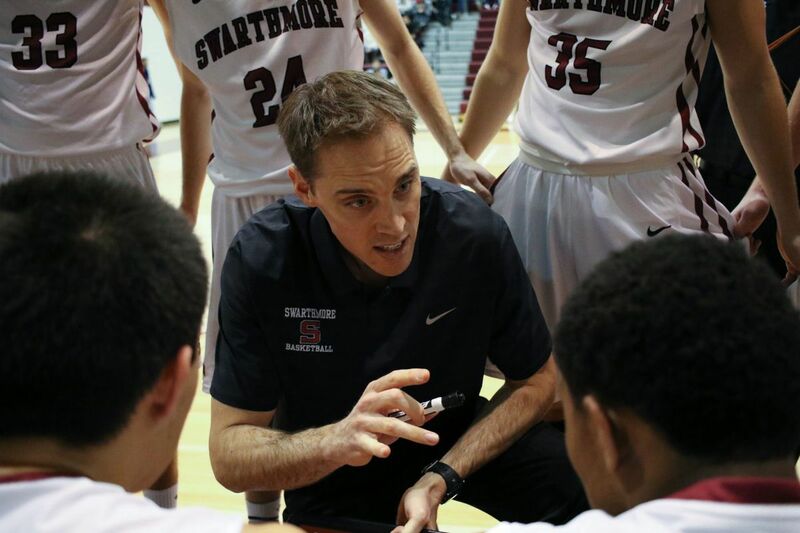 The wire-to-wire win on the program's biggest stage yet was the continuation of a remarkable rise for Swarthmore under sixth-year head coach Landry Kosmalski. The former Davidson assistant took over a Garnet program that had never been considered anything close to a powerhouse and built them up year over year, setting the program records for wins in 2015-16 (22) and then breaking it both last year (23) and this season. Last year, Swarthmore won its first-ever Centennial Conference championship and NCAA tournament game before falling in the second round. This time, they're trying to make it out of the second weekend and to the national semifinals in Salem (Va.) next weekend. All that's in the way is a home game against Springfield (Mass.) on Saturday at 7 PM. The Pride (21-8) advanced to the Elite 8 for the first time in program history with a 92-90 overtime win over Hamilton College (N.Y.).